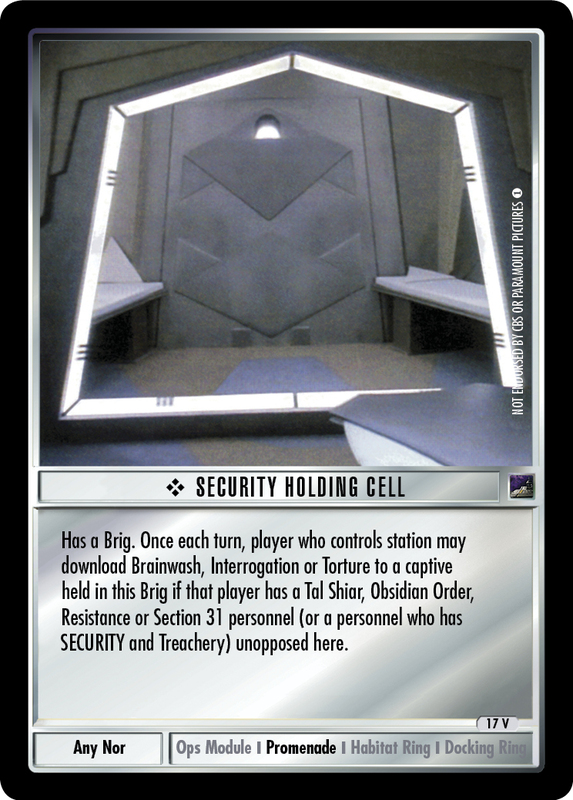 Compatible SECURITY-classification personnel and hand weapons may report here. 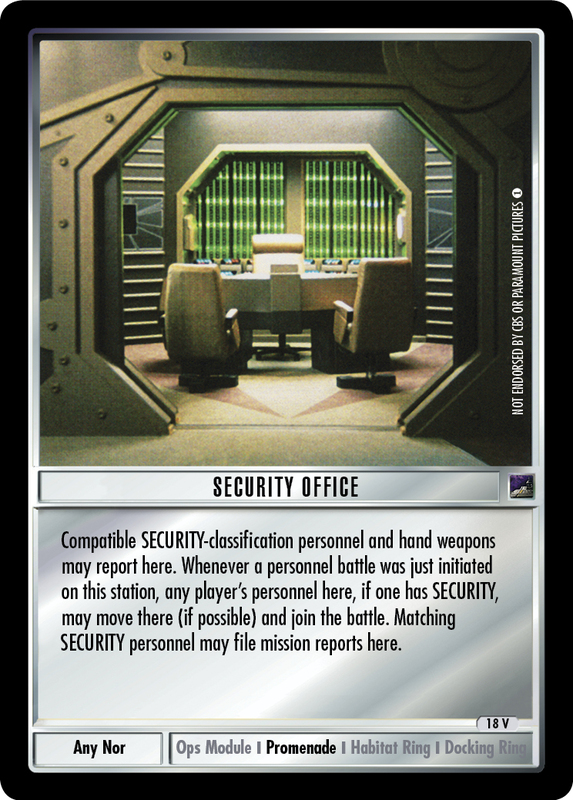 Whenever a personnel battle was just initiated on this station, any player's personnel here, if one has SECURITY, may move there (if possible) and join the battle. Matching SECURITY personnel may file mission reports here.